What started as a $90,000 film was soon declared by horror icon Stephen King as the “most ferociously original film of the year.” Two sequels and decades later, a remake is soon to hit theaters, and The Evil Dead franchise lives on. In anticipation for the remake (simply titled Evil Dead, which hits theaters April 5), Tech N9ne recalled his first experience with the original 1981 cult classic for a celebratory article in Bloody Disgusting. 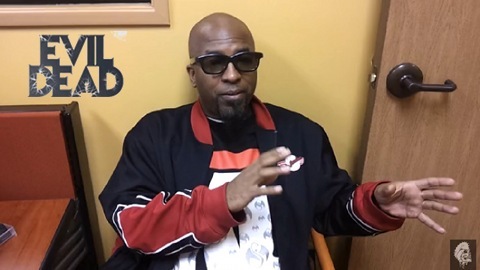 The Strange Music general is such a fan that he’s even seen a live-action rendition of the film which has now become a phenomenon. What’s your favorite Evil Dead film? Are you going to see the remake?